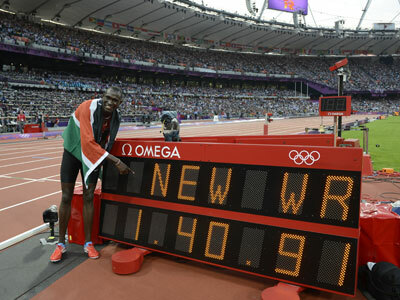 World fastest man, Usain Bolt, has been honored at the stadium of his favorite football club, Manchester United. 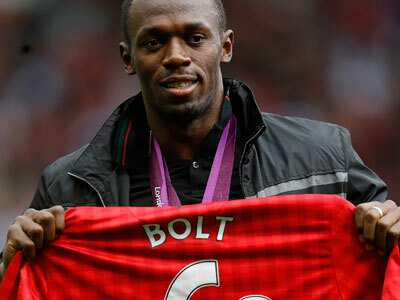 ­Bolt appeared on the pitch at Old Trafford before United’s game against Fulham, wearing the three gold medals (100 m, 200 m, 4x100 m relay) he won at the London Games. The Jamaican was presented with a United jersey with number 9.63 on the back- in honor of the new Olympic record he set in the UK capital. 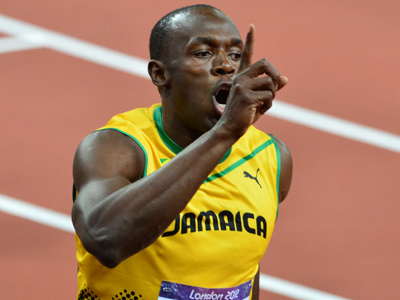 The fans greeted the sprinter with a chant asking coach, Alex Ferguson, to add Bolt to the team’s roster. “Sign him up, Fergie, Fergie, sign him up,” the crowd sang. In his many interviews, Bolt said that he’d gladly switch to professional football – at which he’s pretty good – if he gets an invitation from his favorite club. The 26-year-old believes he’ll prove his class if Ferguson tries him out, with United’s defender, Rio Ferdinand, eager to help him fulfill his dream. 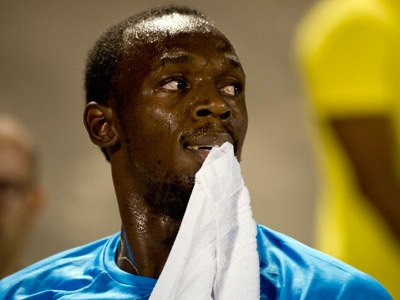 "If you want that trial at Man Utd shout me – I’ll speak to the boss,” he tweeted to Bolt. It’s hard to say whether it’s all a joke or not as the sprinter also voiced plans to compete at Rio 2016 to add to the six Olympic golds he already has. Bolt stayed at the stadium for the game to see Manchester United collect a 3-2 victory.